The final event of the European Tour season is here and it’s set to be a cracker even though Rory McIlroy has already won the Race to Dubai. The Northern Irishman is playing this week and he’ll bring in the big crowds as he always does, it’s no surprise to see Rory as the favourite after a superb season and a victory around this course in 2012. 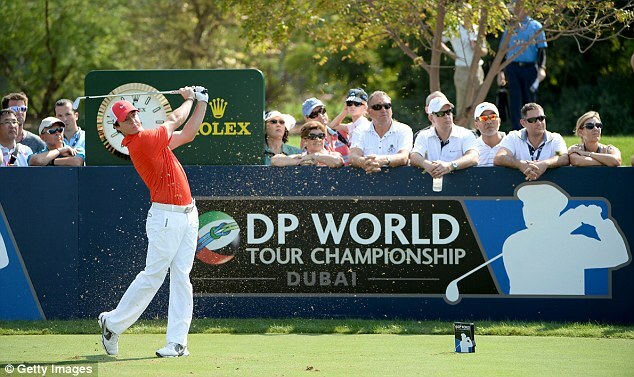 Last years DP World Tour Championship winner was Henrik Stenson who is yet to win in 2014 despite coming close on a number of occasions, the Swede can be backed at 8/1. Finally last weeks Turkish Airlines winner was the talented Brooks Koepka, I’m not expecting much from the American this week as he’s probably been busy celebrating his victory. Jumeirah Golf Estates is 7675 yards long, this suggests that this course will favour the big hitters and the winners of this event back that up. Of the five winners around this course, four of those have ranked inside the top 10 in driving distance the week they have won, therefore driving distance is a statistic I’ll be targeting this week. The greens are undulating and can be difficult which favours the better putters although strokes gained putting is not as important as driving distance in Dubai this week in my opinion. Stephen Gallacher – After a disappointing Ryder Cup i’m sure Gallacher will want to prove what a good player he is, Stephen has the chance to do that amongst the best players in the world this week. He’s a three time winner on the European Tour and two of those wins have come in the last two years in Dubai. I’ve been following recently and he’s been showing signs of playing some good golf although his putting has let him down. Since the Ryder Cup Gallacher has played well from tee to green, in the WGC HSBC Champions he hit more greens in regulation than eventual winner Bubba Watson, this led to a respectable 24th place finish. Last week in the Turkish Airlines Open, Gallacher tied for 15th hitting 75% of greens in regulation, once again he didn’t have a great week on the greens. Driving distance is certainly preferable this week and Gallacher is long off the tee, he’s ranked 21st in terms of driving distance on the European Tour this season. Finally Gallacher has performed ok around this course in the past, last year he tied for 34th and in 2012 he finished 16th which suggests he can perform well around this course. Rafa Cabrera-Bello (First Round Leader) – The Spaniard hasn’t been in the best of form lately but I’m more than happy to back him in the first round leader market at a three figure price in a field of just 60 players. In 2014 Rafa has finished inside the top five after the opening round on six occasions and he was 4th in this event after the opening round last season. Last week in the Turkish Airlines Open Cabrera-Bello tied for 46th despite playing well from tee to green, a good round with the putter and he can certainly be the first round leader. This weeks course is 7675 yards long which benefits the big drivers of the ball and Rafa is long off the tee averaging 292.8 yards with his driver this season. David Lipsky (First Round Leader) – Personally I don’t think Lipsky can win this week in such a strong field but he can certainly lead after the first round, he’s a huge price at 125/1 in a field of just 60 players. The young American has had a superb season, he won for the first time on the European Tour just a few months ago in a relatively strong field. Last week in the Turkish Airlines Open he finished in 15th position which suggests his game is in pretty good shape. Lipsky hasn’t played in this event previously but his game should suit the course, driving distance is preferable and he has averaged 290.4 yards off the tee this season. The greens are undulating which means the good putters tend to go well around this track and David is ranked 20th on the European Tour in terms of putts per GIR this season.